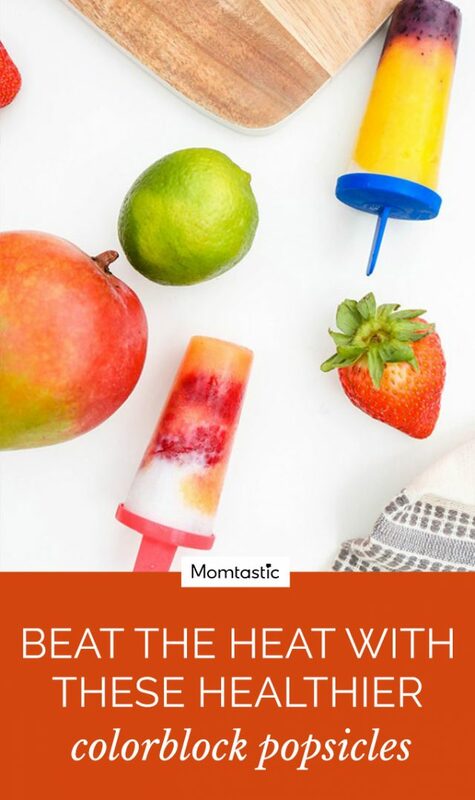 My daughter is always craving popsicles and they’re the perfect treat to keep her cool. 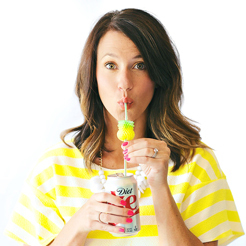 But here’s the thing: I don’t want her to have the sugary stuff. 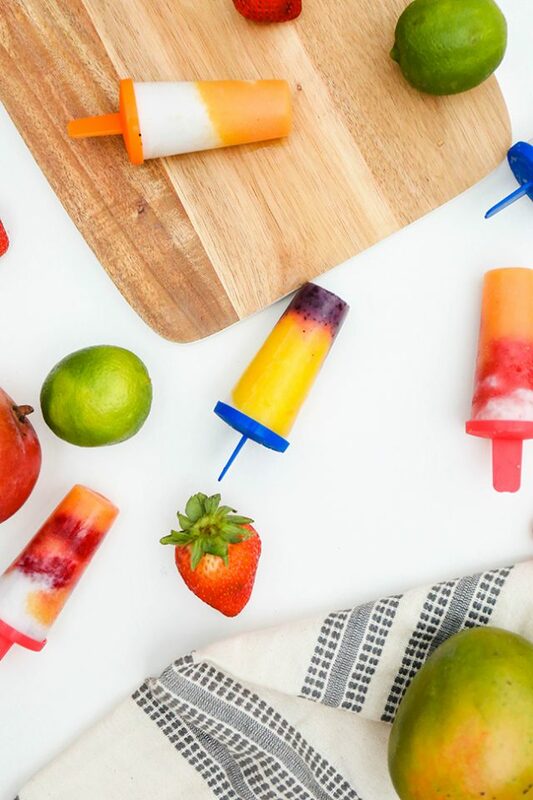 So I’ve come up with these homemade colorblock popsicles. 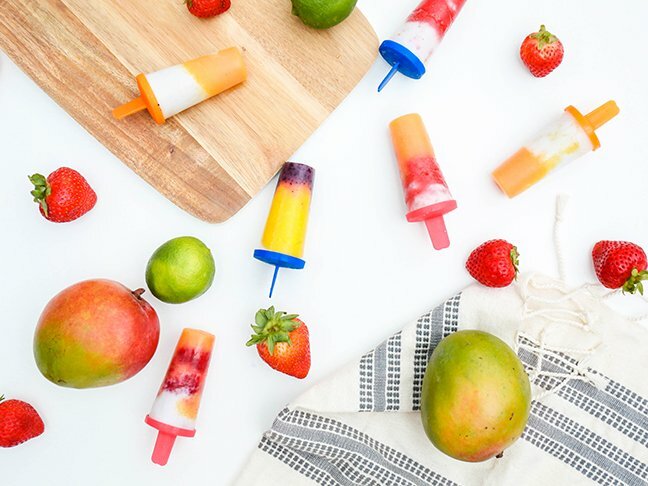 They’re made with healthier ingredients — coconut milk and fresh fruit — so there’s no added sugar. The coconut milk adds just the right amount of sweetness and they’re super cute to boot. Winning all around! 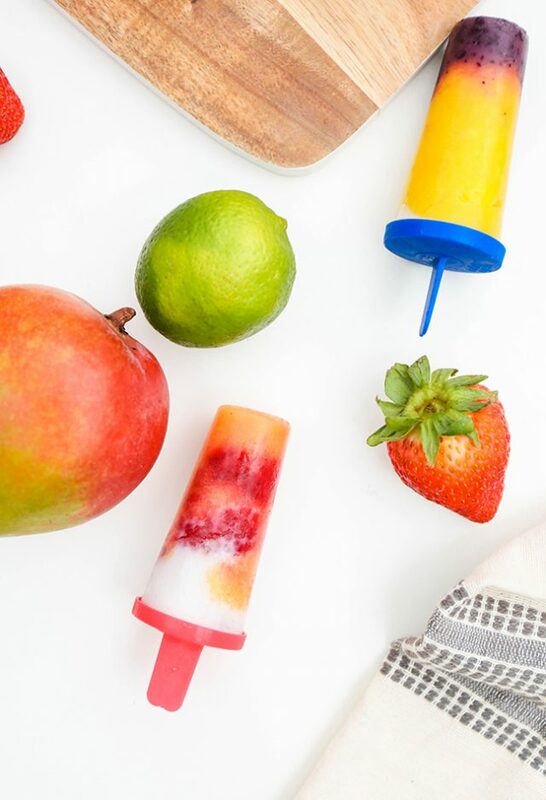 Make your own pretty colorblock popsicles by following the simple steps below! 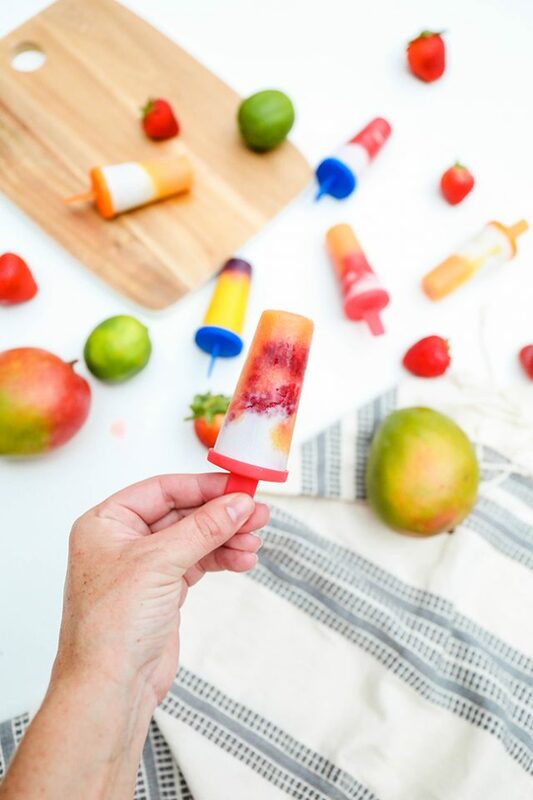 These fruity pops are made with fresh fruit and no added sugar. 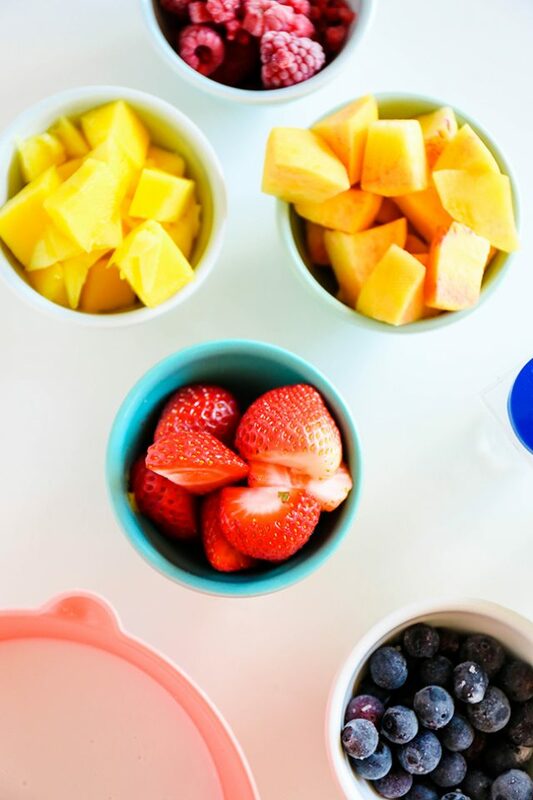 Step 1: Slice your fruit into smaller chunks, if necessary. 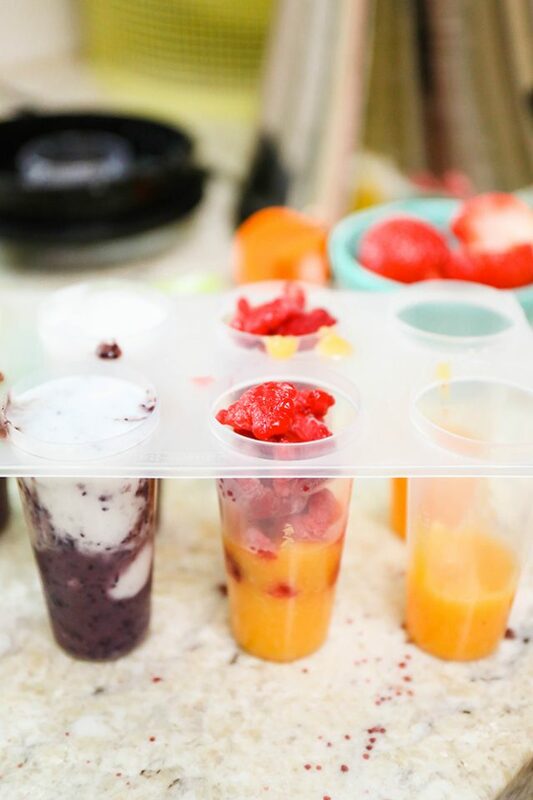 We used an assortment of strawberries, mango, blueberries, raspberries, and peaches. Yum! 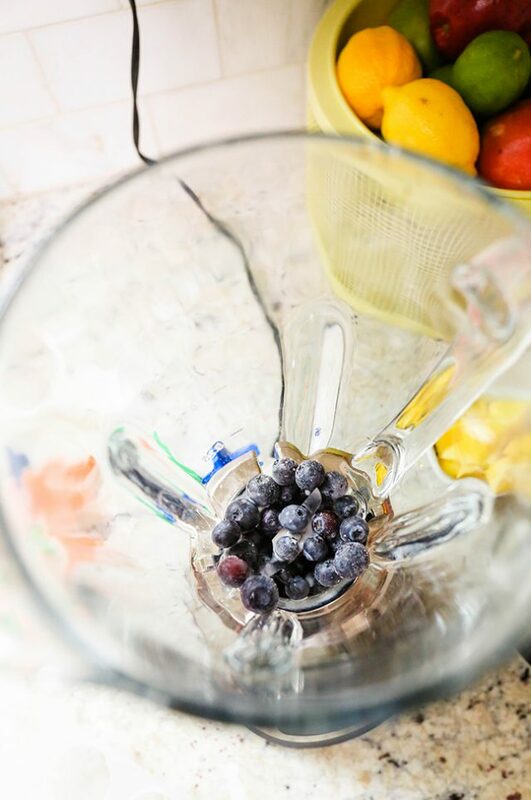 Step 2: Working with one fruit at a time, blend 1/2 cup fruit and 1 tablespoon of coconut milk in a blender. Step 3: Pour the pureed fruit into the molds and layer as you desire. 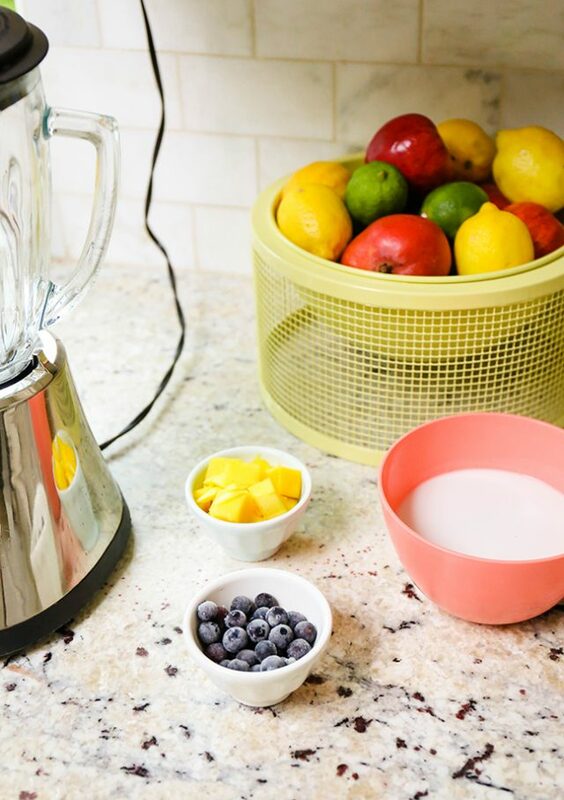 We even added small chunks of fruit and then poured coconut milk on top! 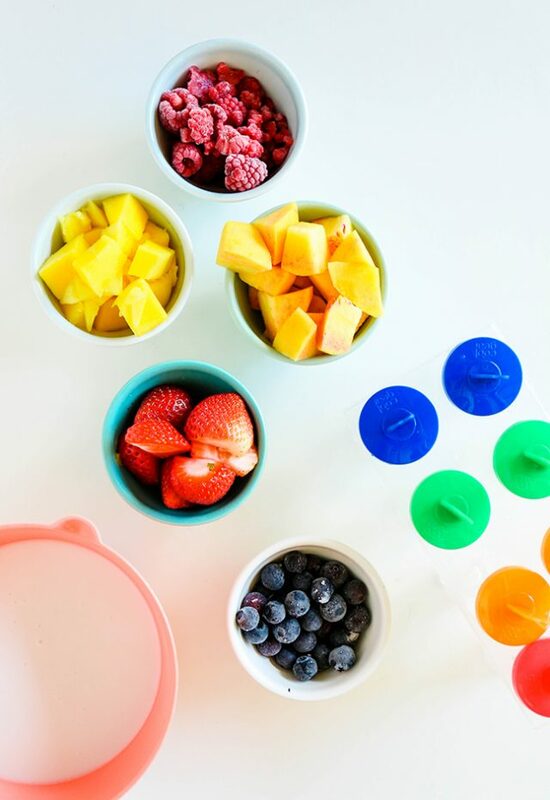 For more definitive lines, you can freeze each layer individually before adding a different fruit. Step 4: Pour a little coconut milk in each mold to help fill the gaps between the fruit. Step 5: Place the sticks in each mold and freeze for a minimum of 2 hours. 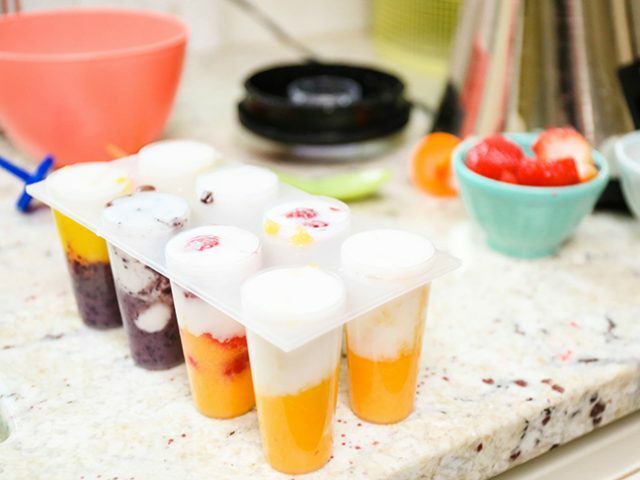 Step 6: To remove the frozen pops from the mold, dip the popsicle mold in a bowl of water for 5-10 seconds to help loosen them up. Step 7: Pull them gently from their mold and enjoy!